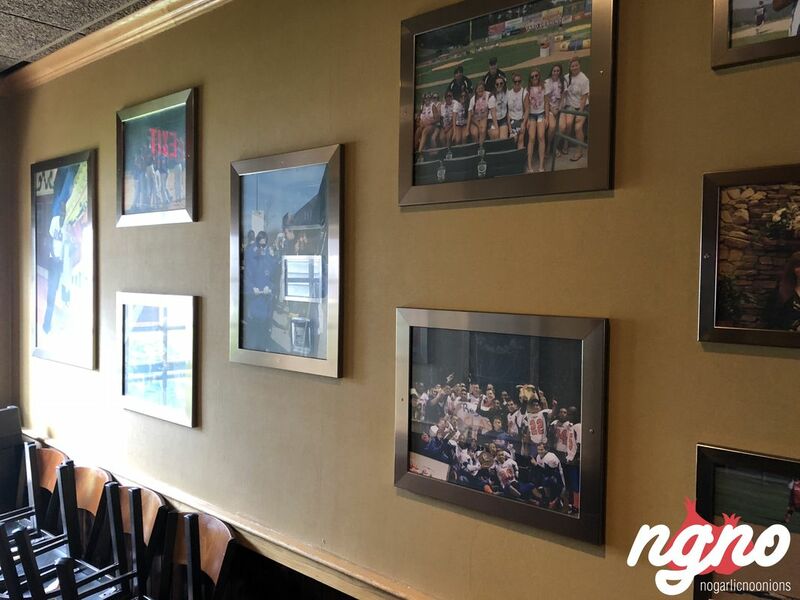 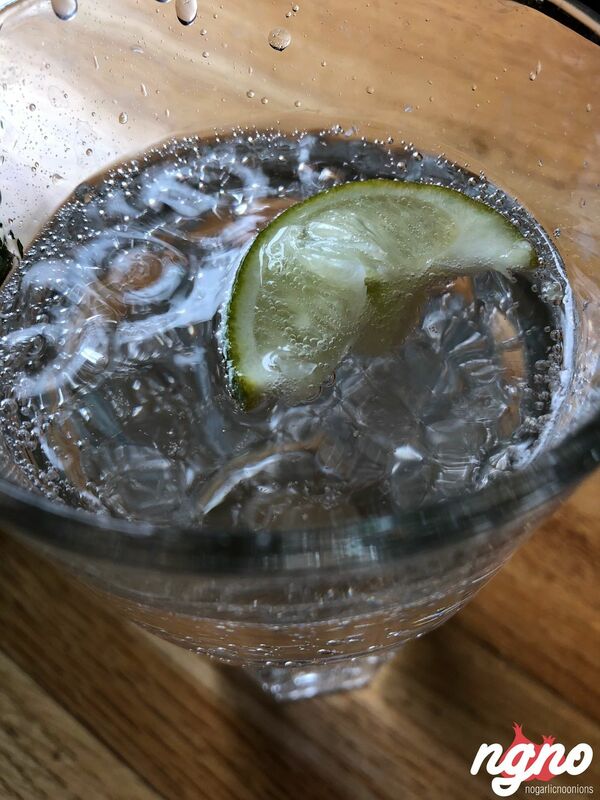 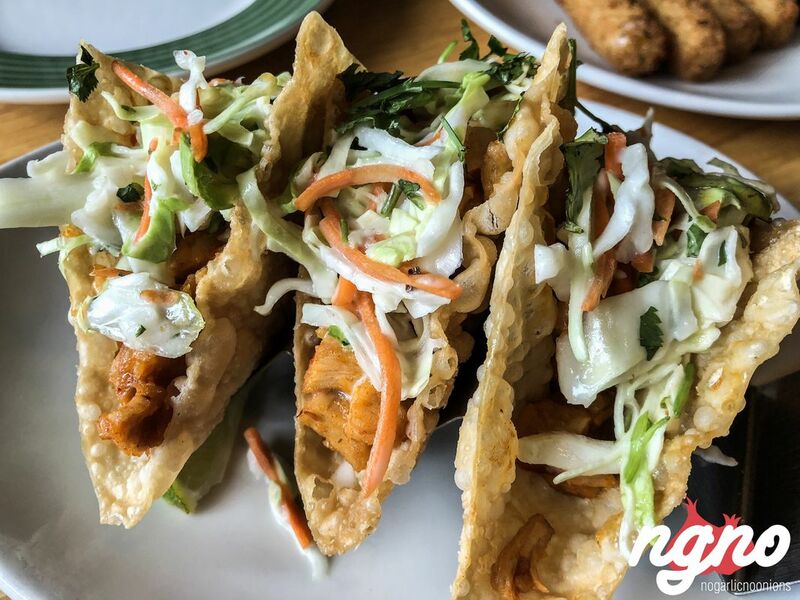 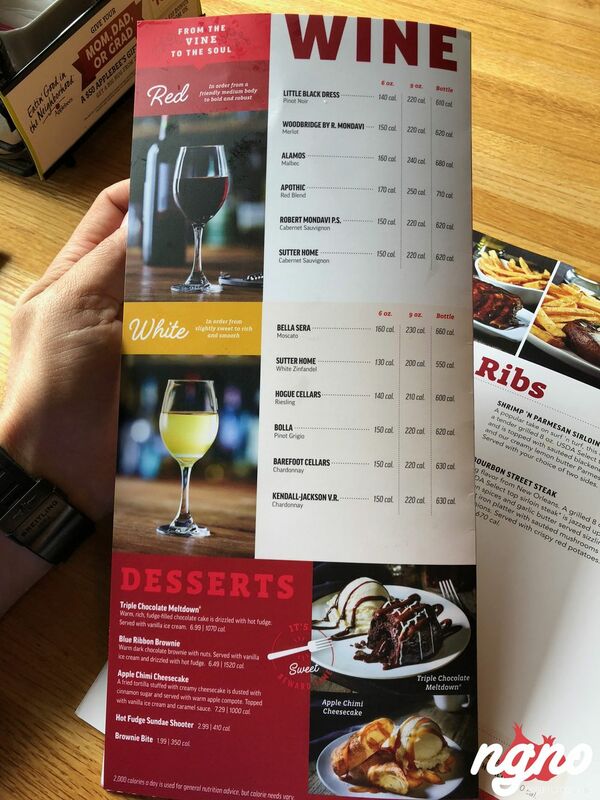 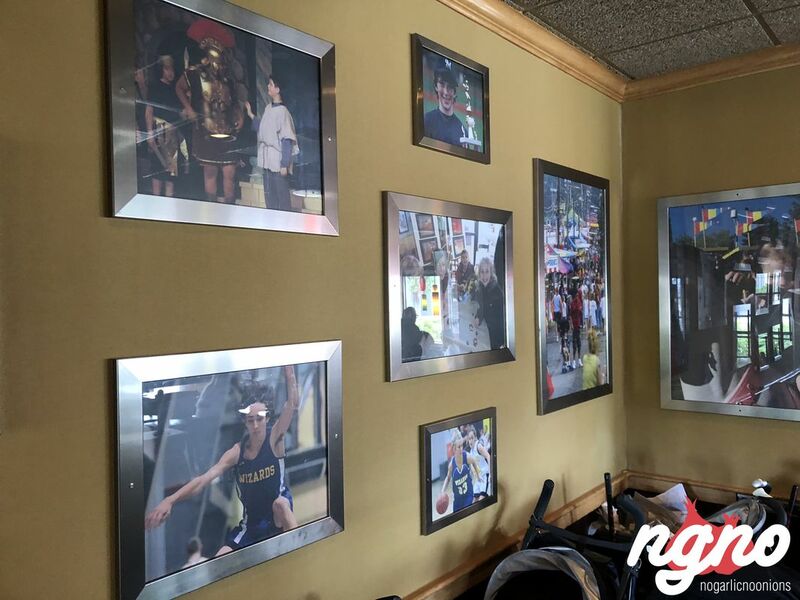 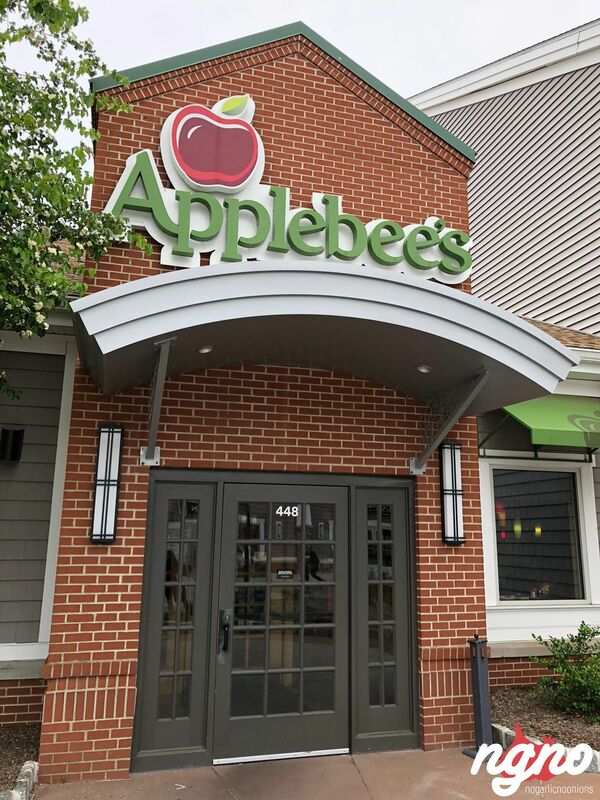 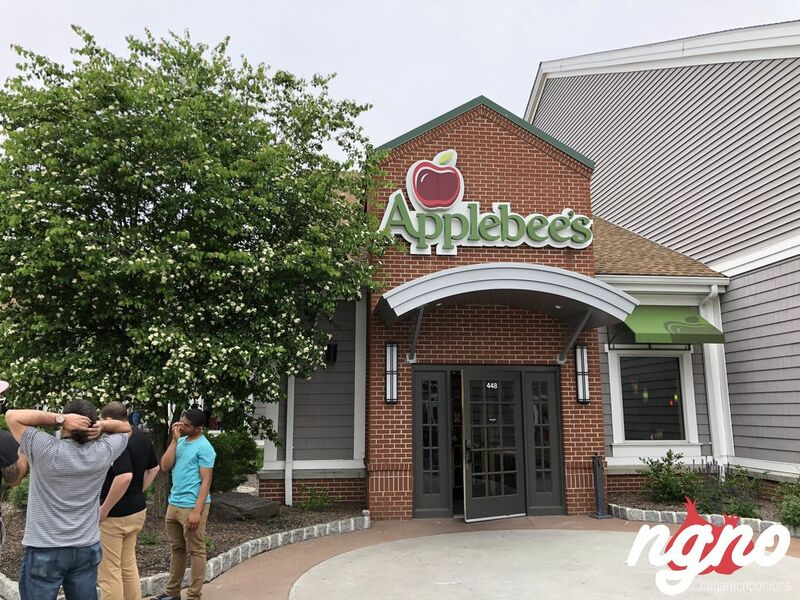 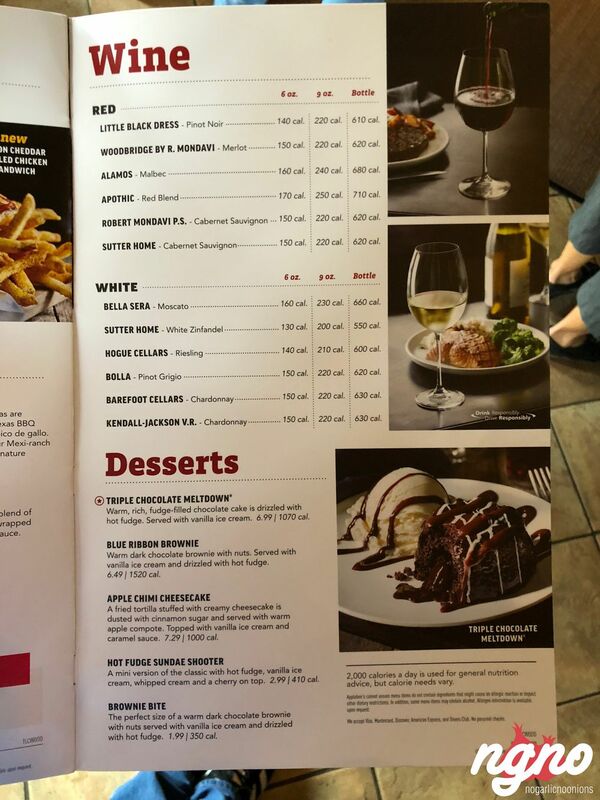 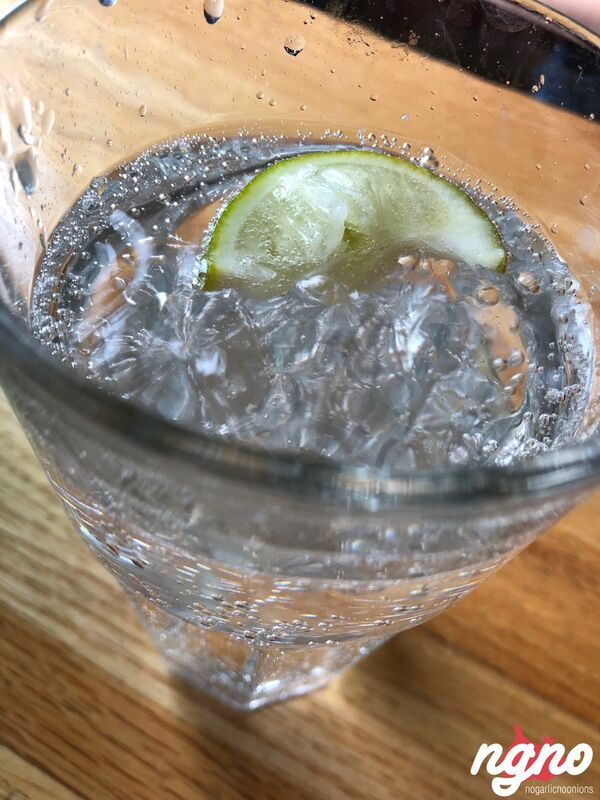 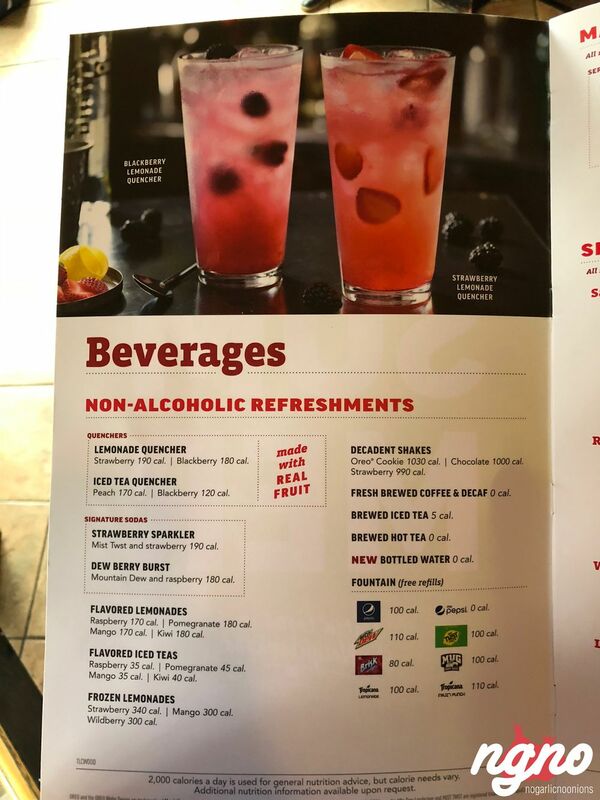 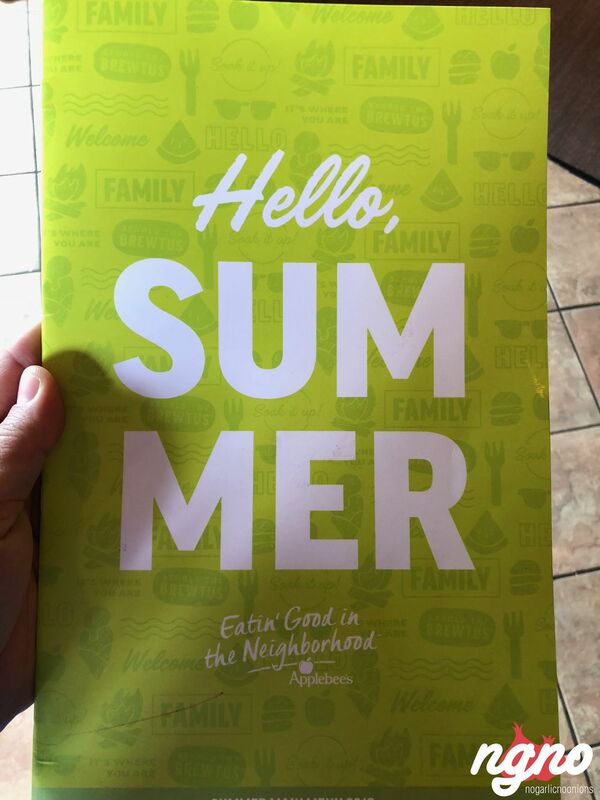 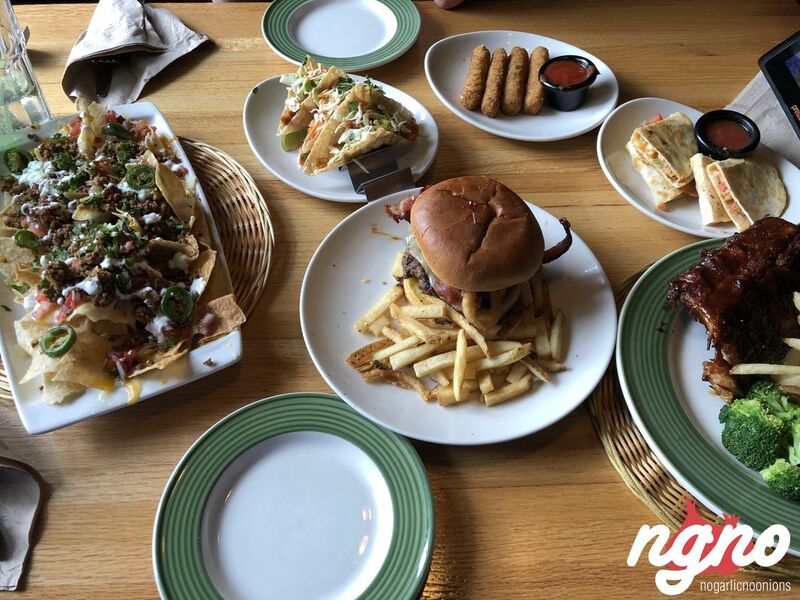 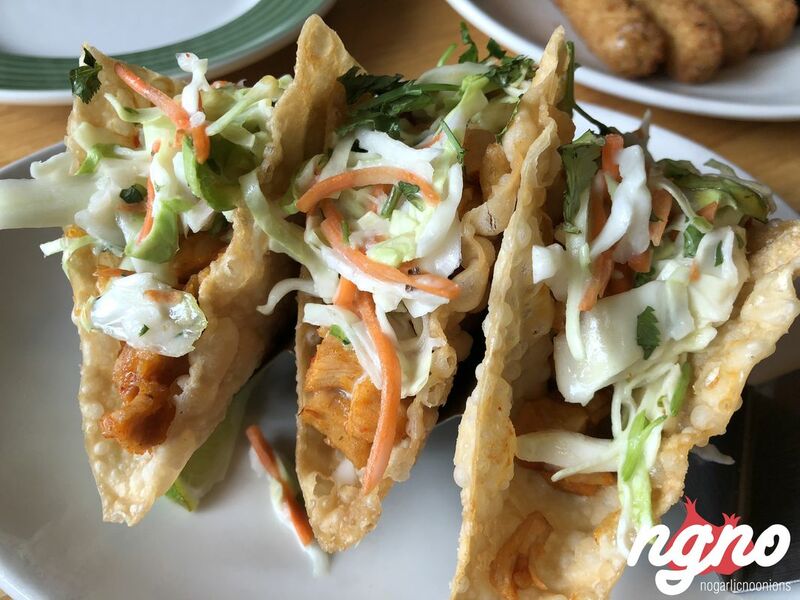 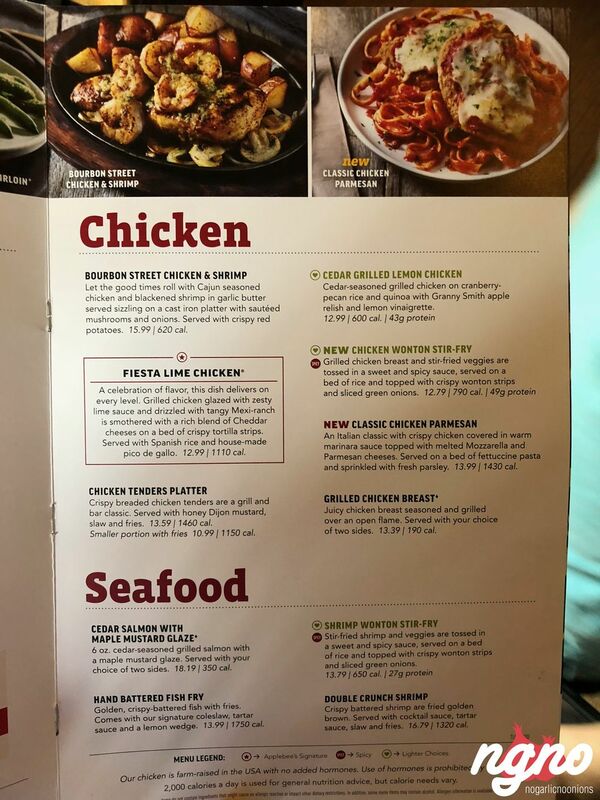 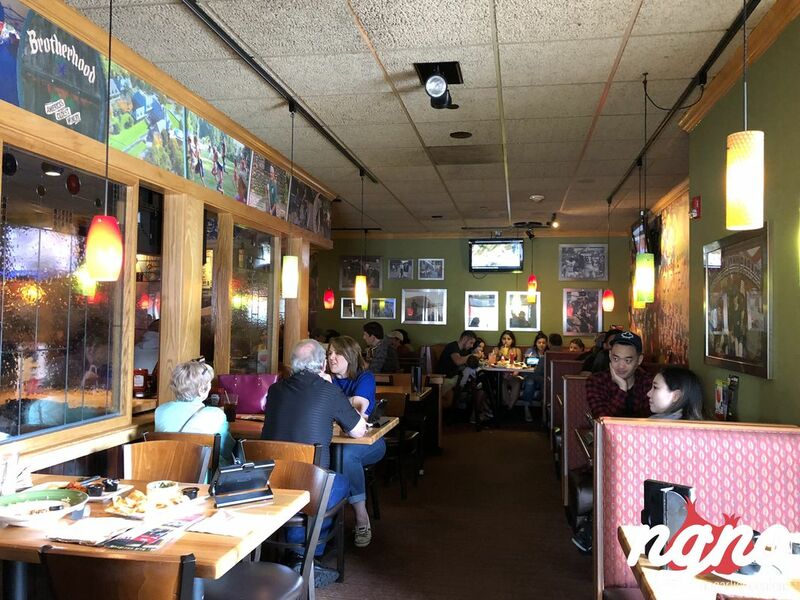 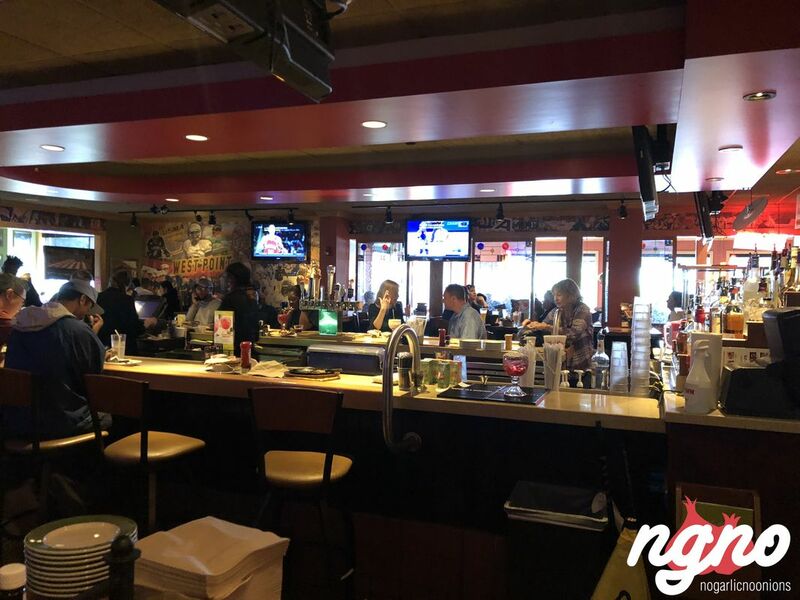 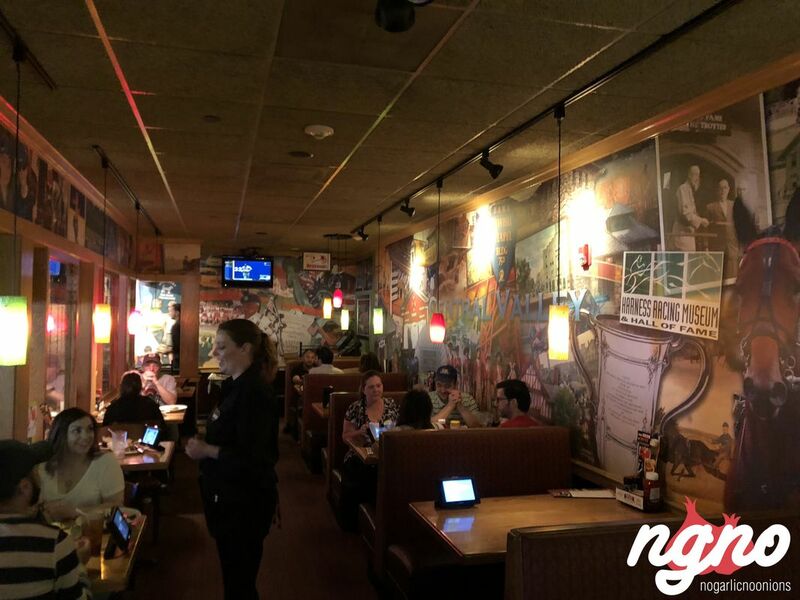 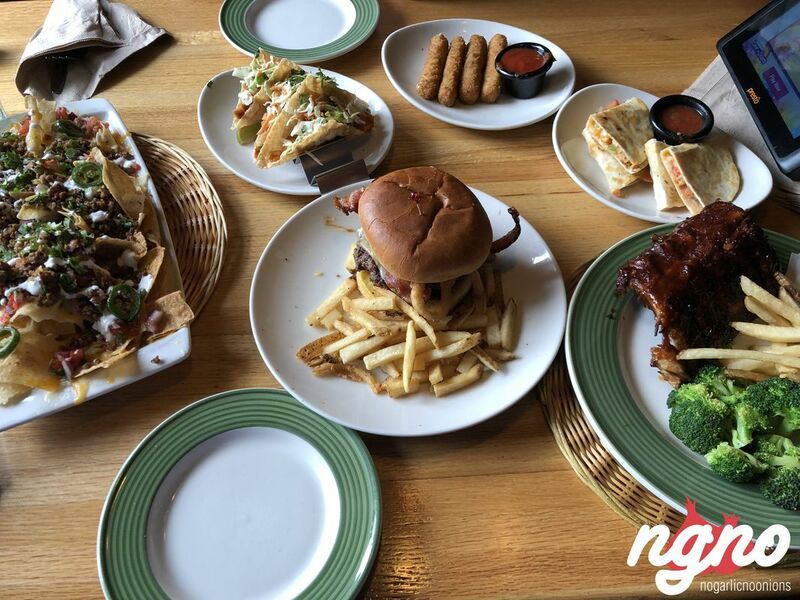 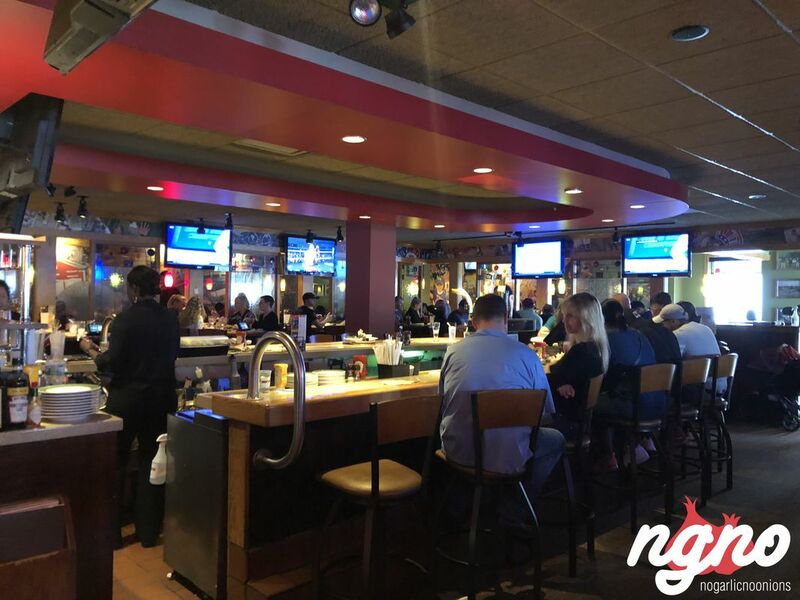 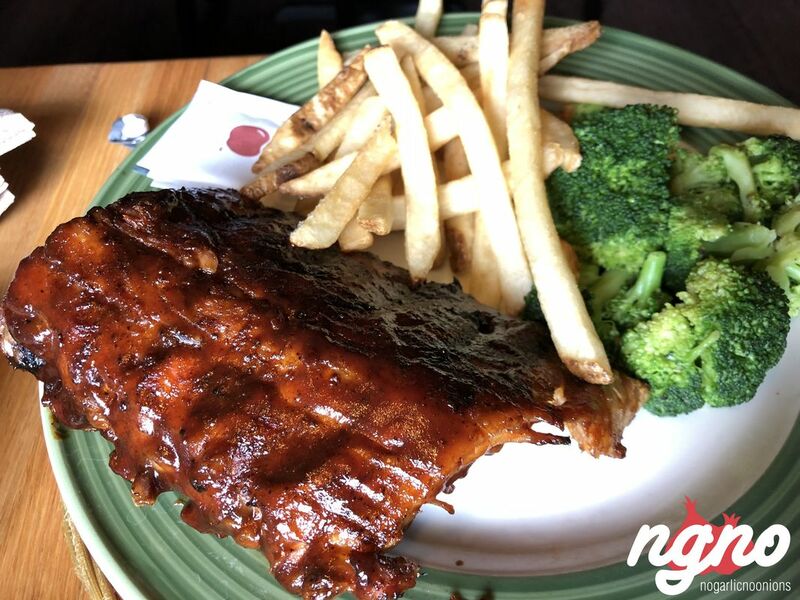 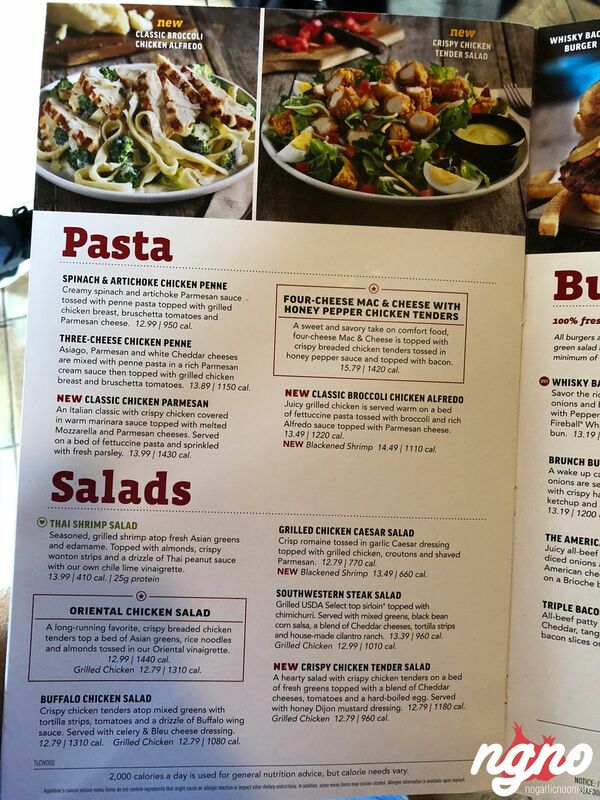 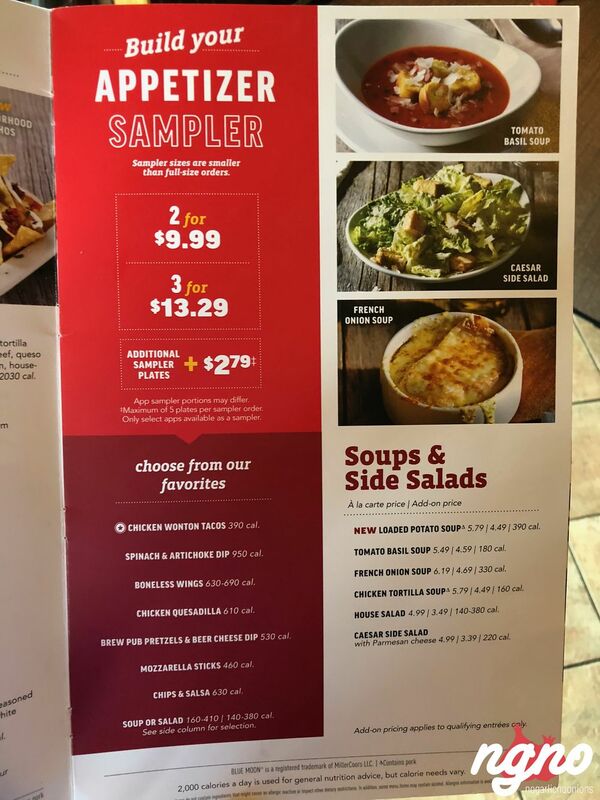 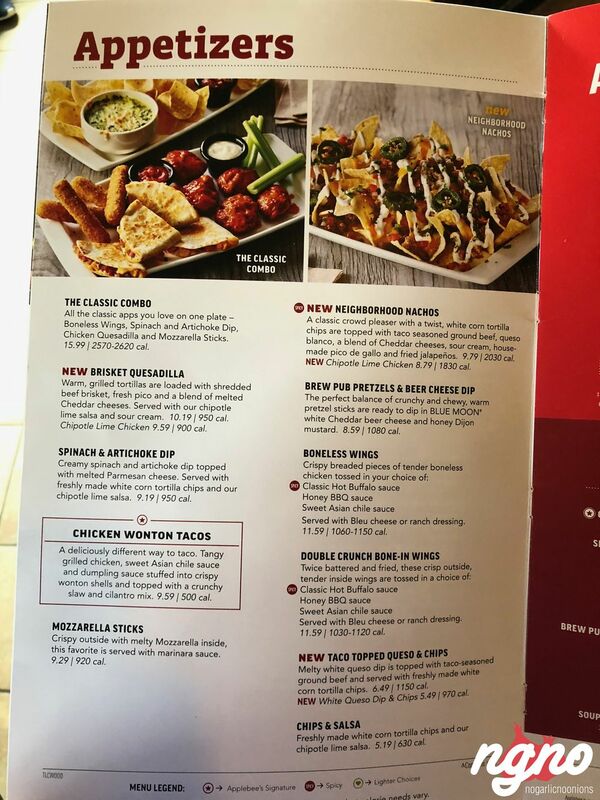 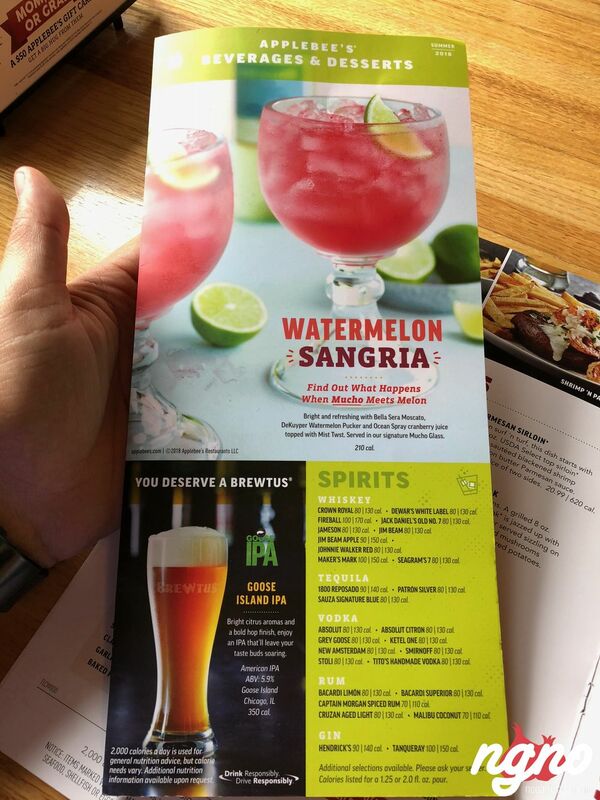 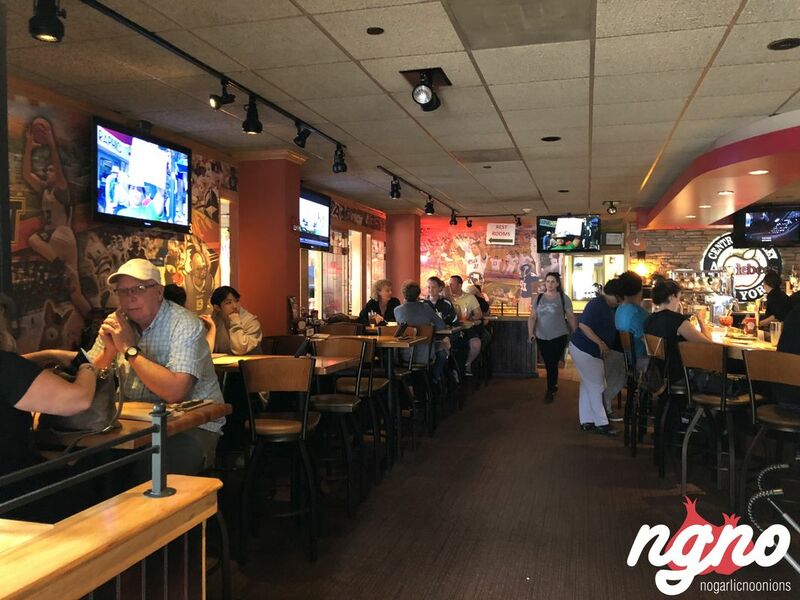 When you spend the day walking in the sun, enjoying light and fresh vibes, arrive at Applebee’s for a dark and dimmed ambiance you really don’t want to experience. 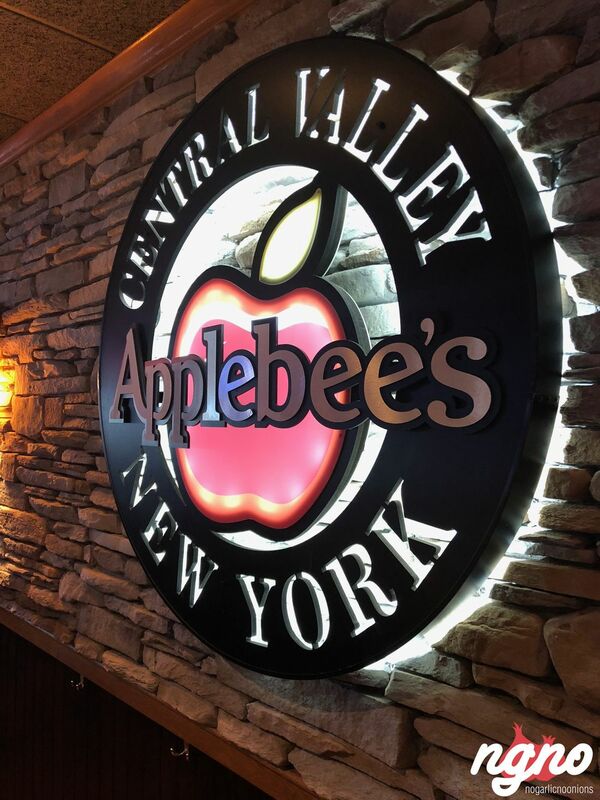 I’m not sure what’s the idea behind this decor instead of keeping it lit and positive. 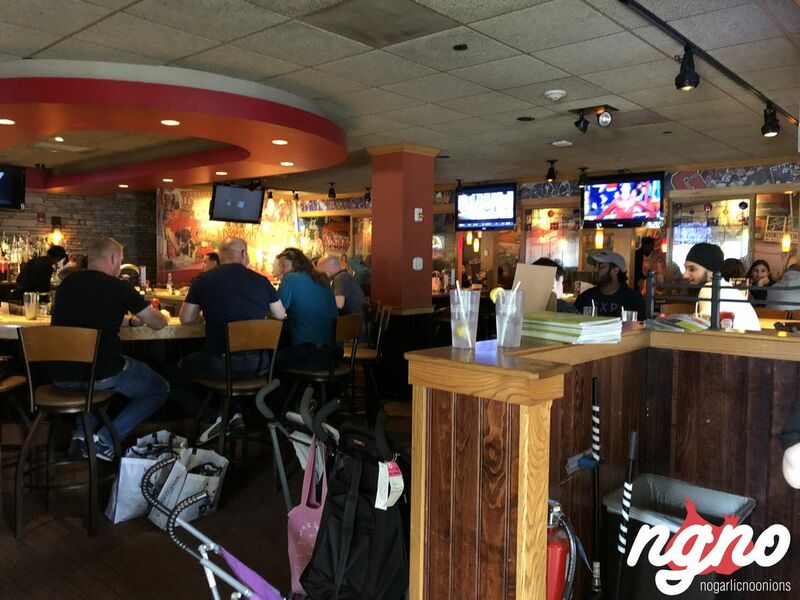 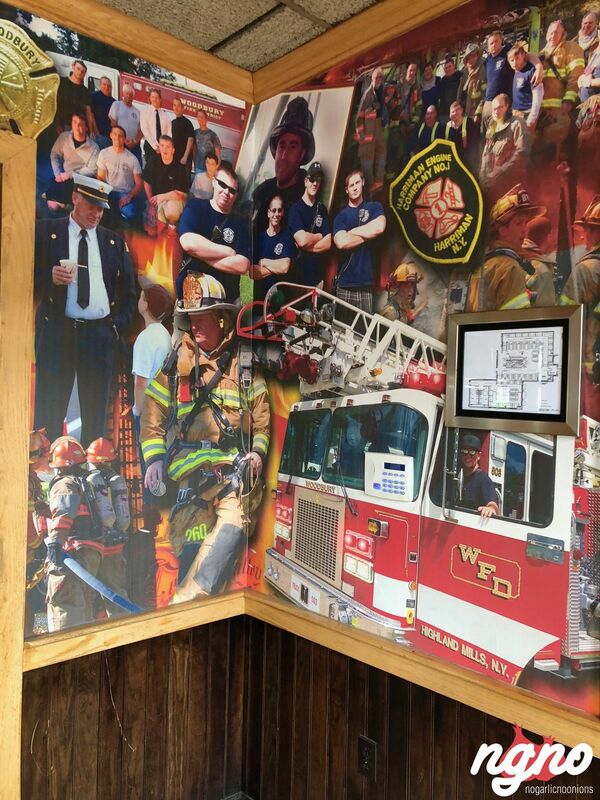 Is it a guys-night-out at a pub, when Woodbury is a family destination? 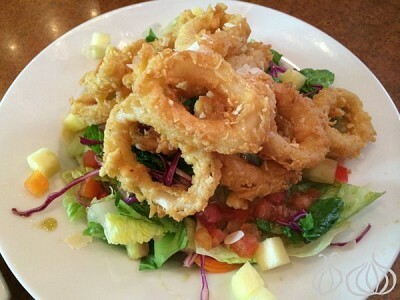 After enjoying Applebee’s in Dubai, I stopped for a late lunch at The Woodbury Outlet. 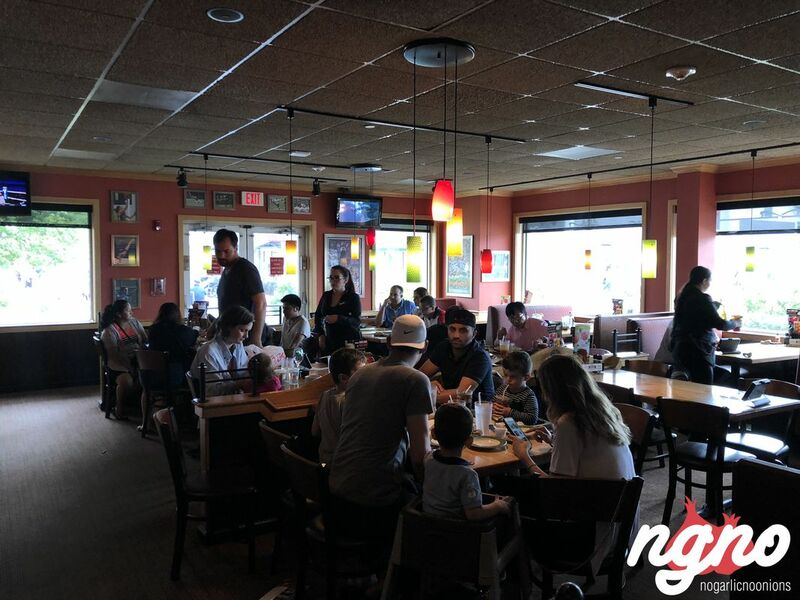 Fully occupied, the hostess asks you to wait for your turn. 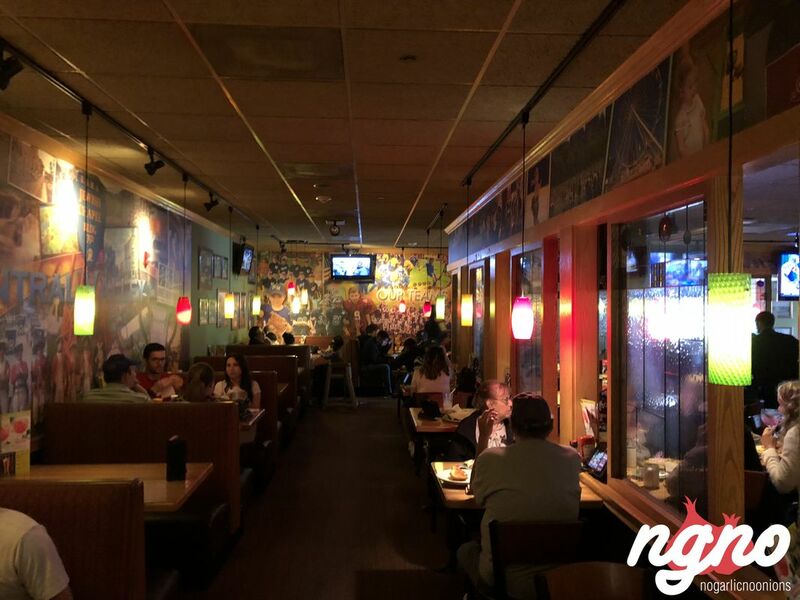 No one smiles, dark colors, dimmed lights... a heavy ambiance. 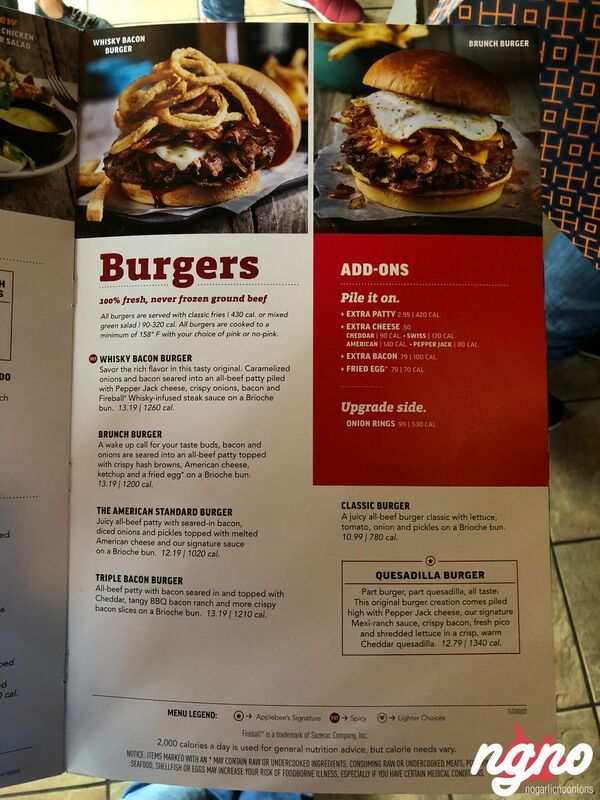 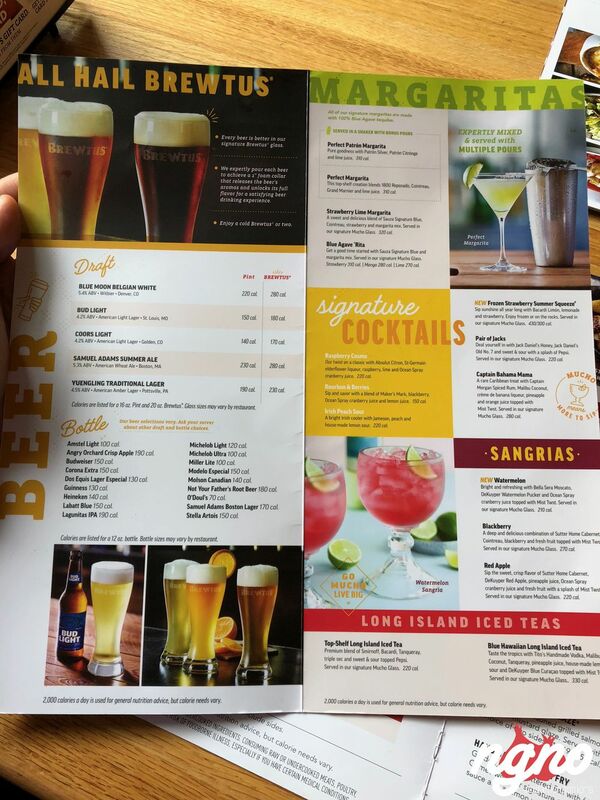 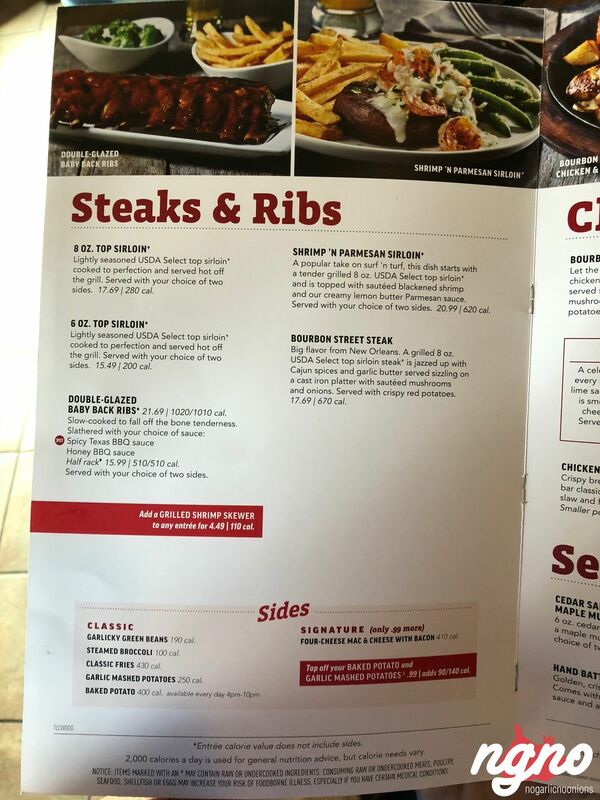 A diner’s menu proposes a selection of drinks, signature cocktails, beers, loaded appetizers, soups and salads, steaks and ribs, chicken seafood, pasta, burgers, sandwiches, tacos, and wraps. 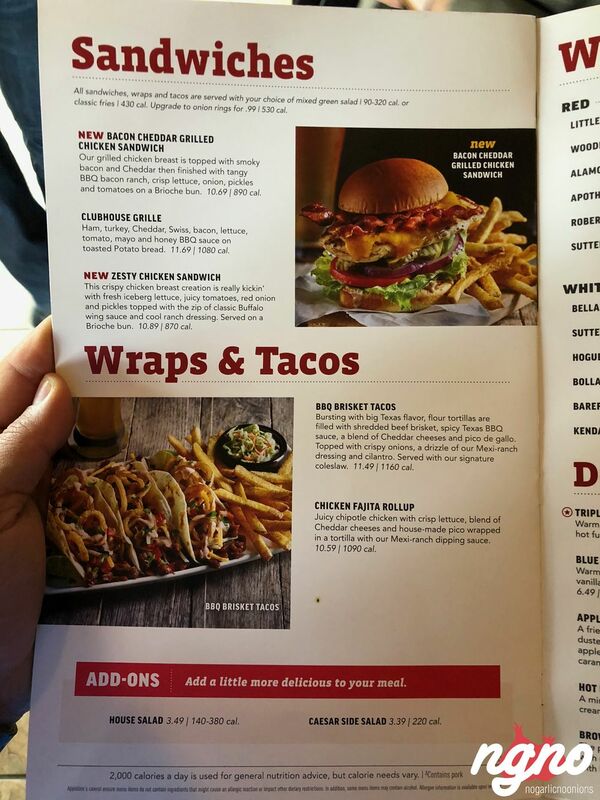 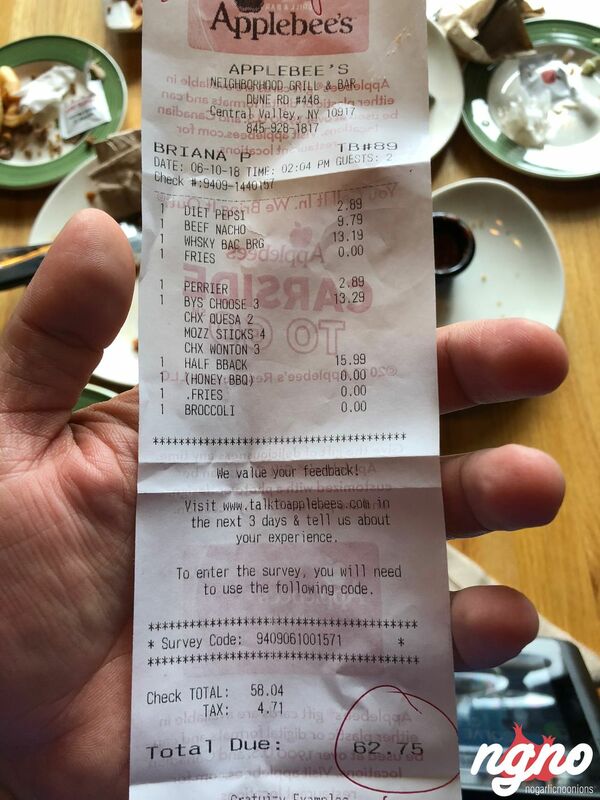 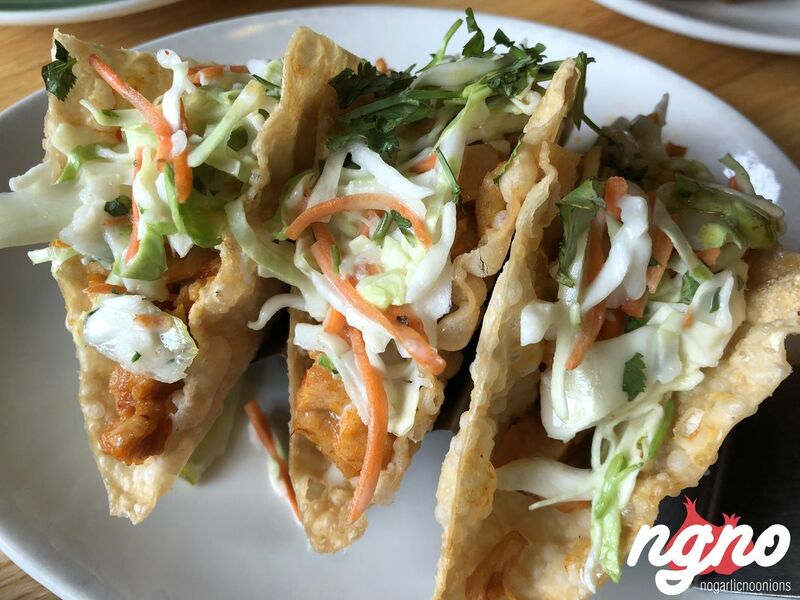 Some items caught my attention: the brisket quesadilla, nachos, “build your appetizer” sampler, big sized steaks, bourbon chicken, double crunch shrimp, chicken Parmesan Pasta, whiskey bacon burger barbecue brisket tacos. 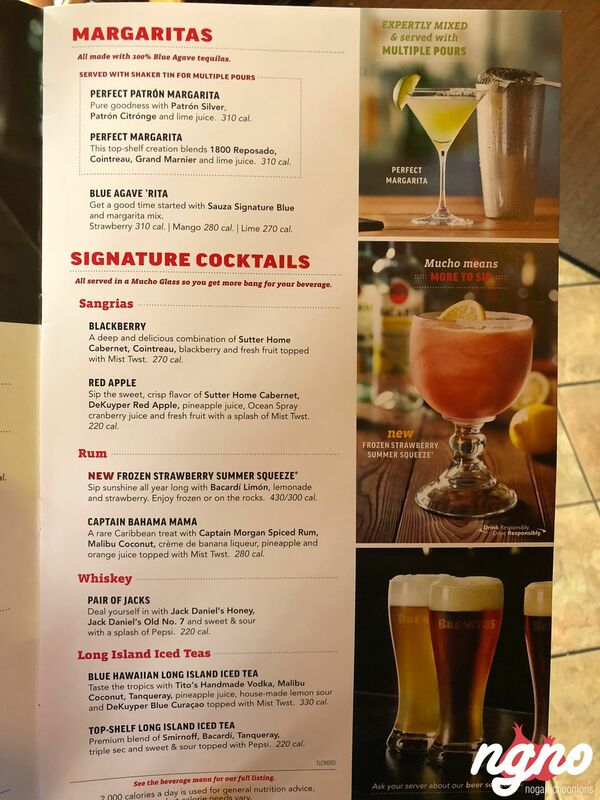 How about margaritas to accompany lunch; unfortunately you cannot be served alcohol without a valid ID despite my white hair. 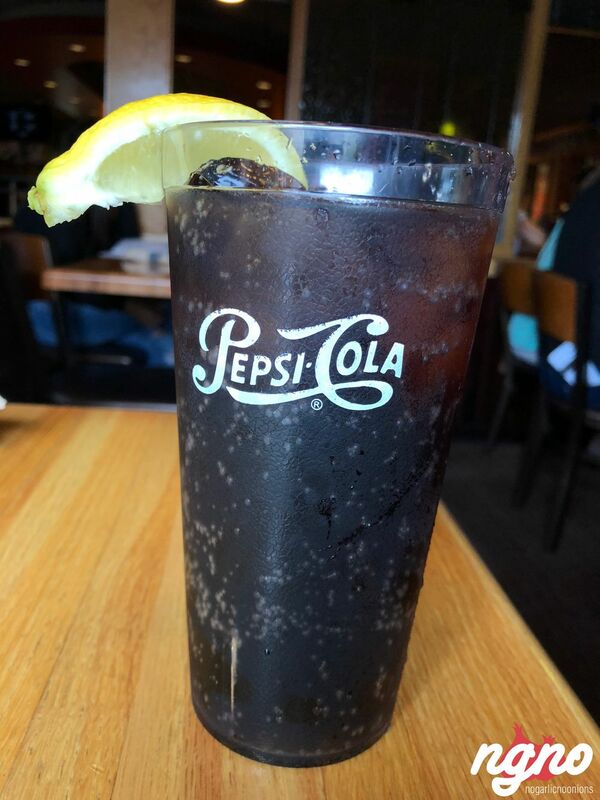 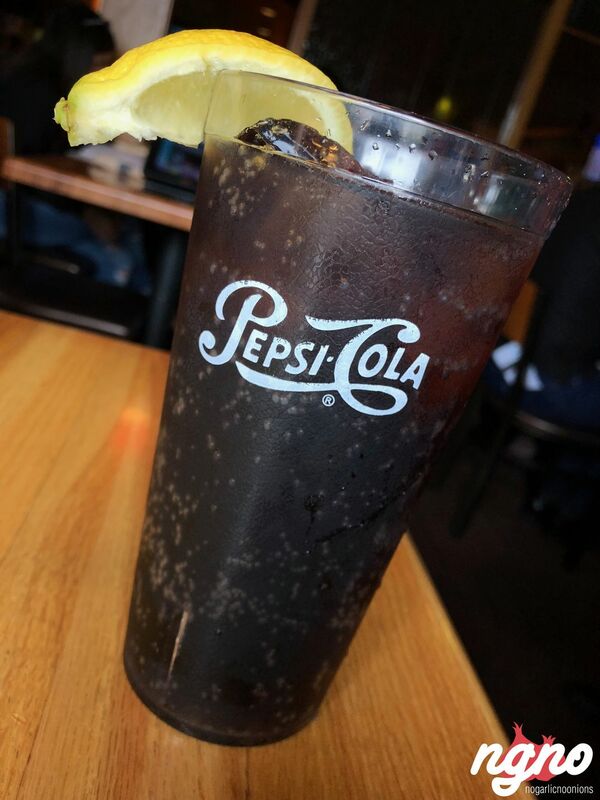 The manager could go to jail if I don’t have an ID on me; I ended up having a Coke; a Diet Pepsi and I enjoyed it. 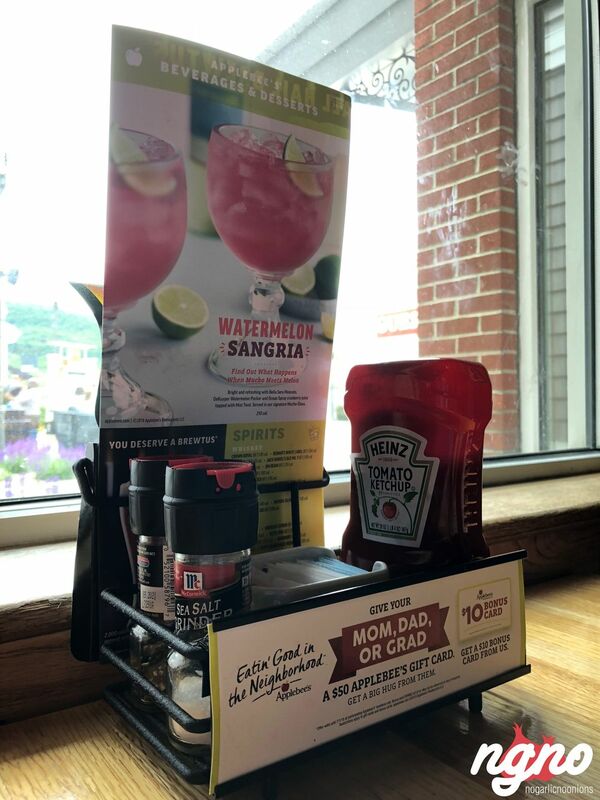 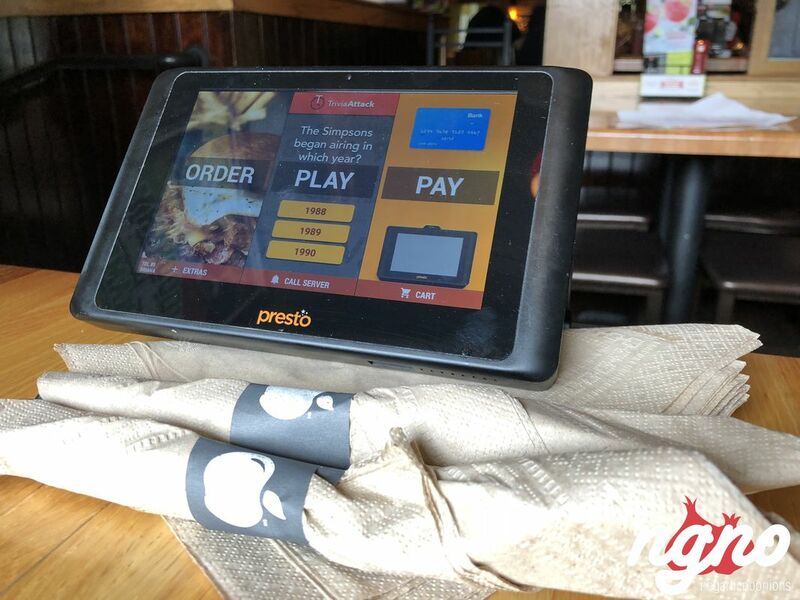 At the table, check out this new technology; a tablet to order drinks and appetizers while the waitress approaches for the order. 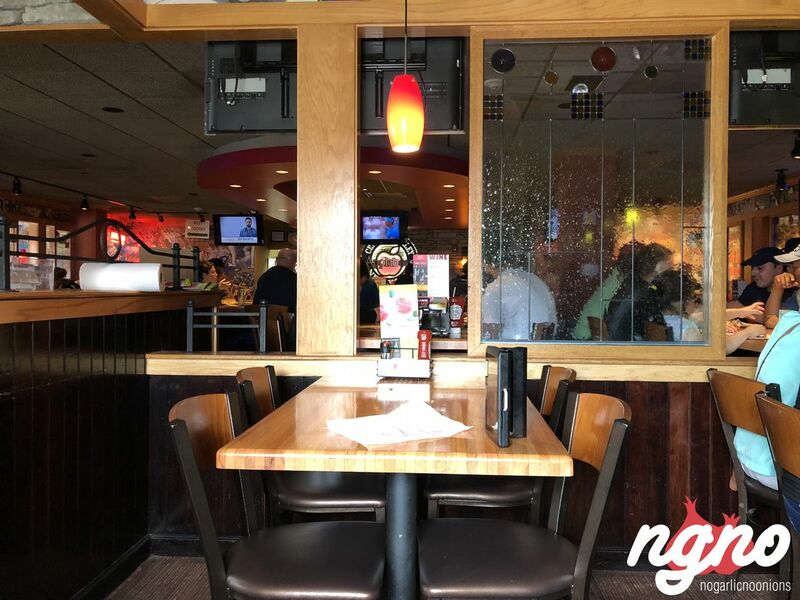 In a restaurant seating 234 people we had the chance and honor to sit at “the only table” with light coming from the window; for the photos, and just to feel like having lunch not dinner, this is the table to choose. 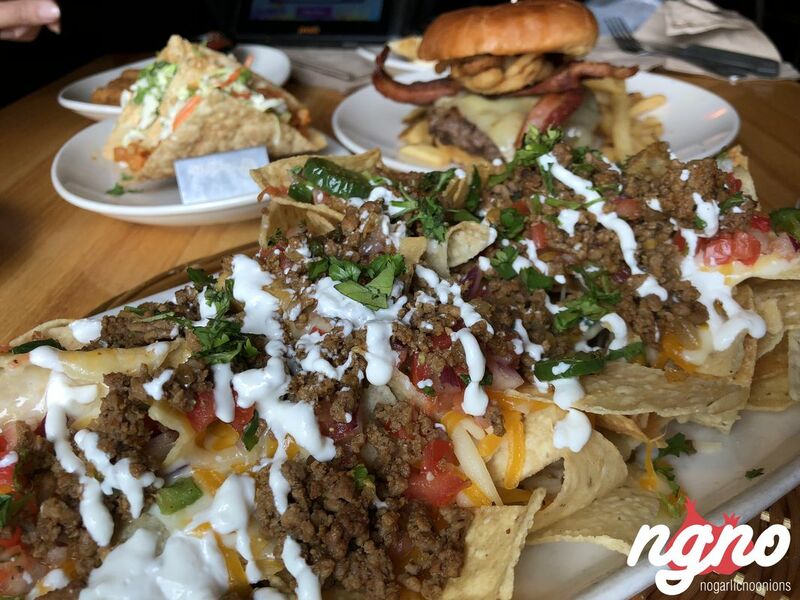 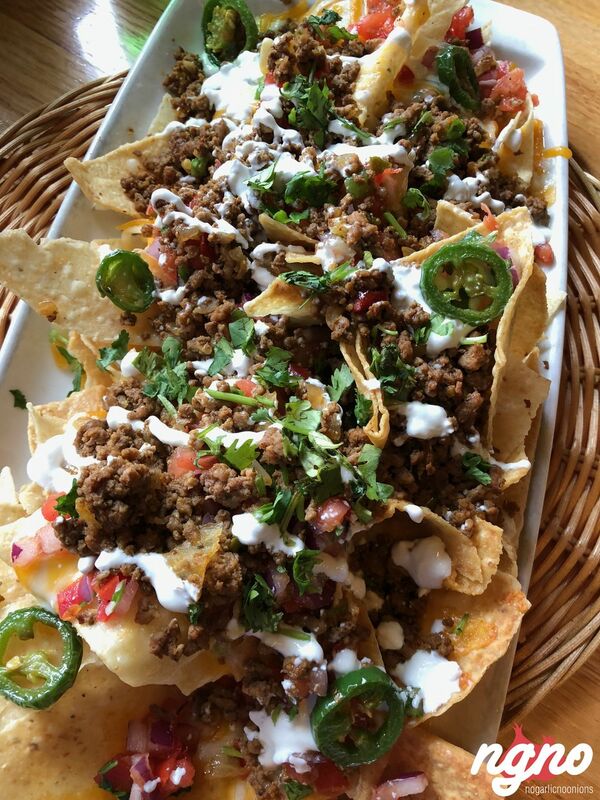 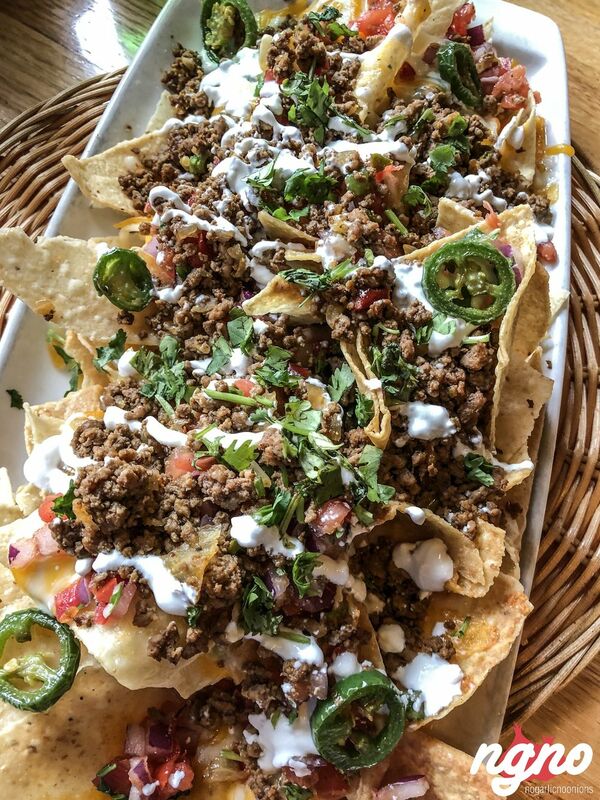 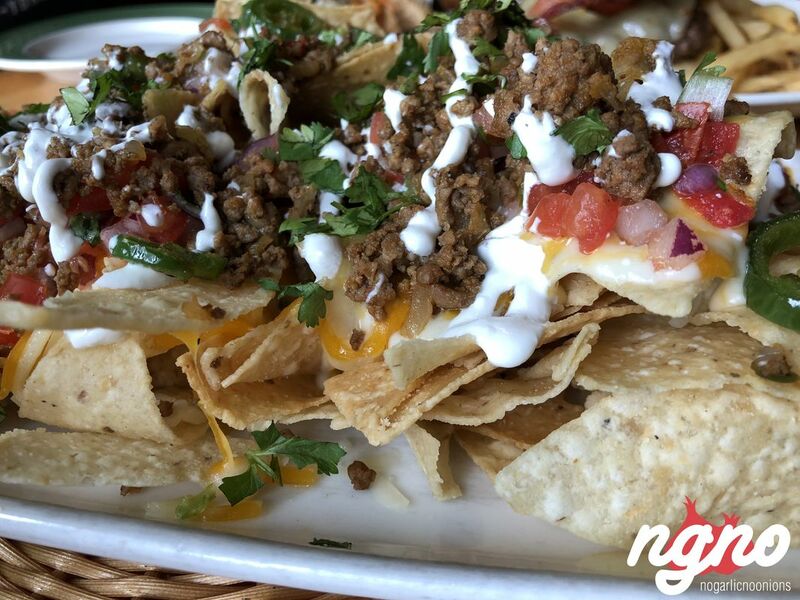 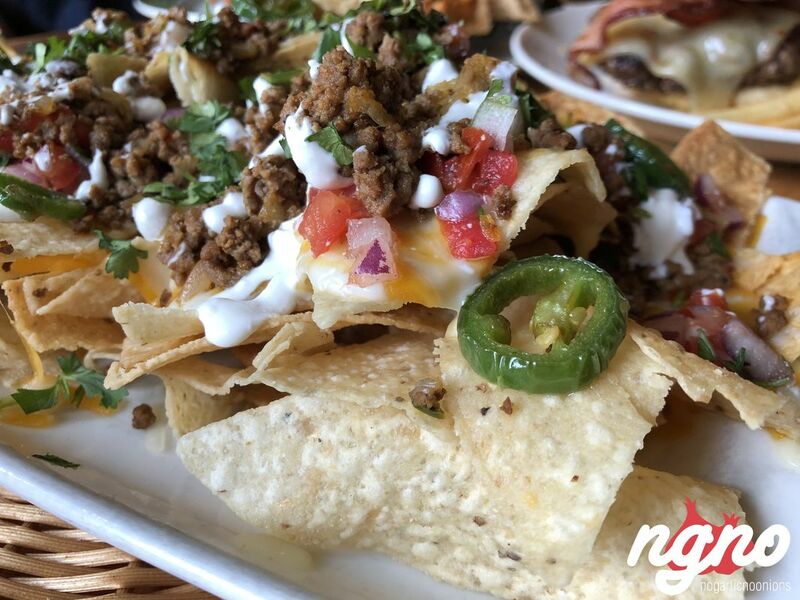 The neighborhood nachos: white corn tortilla chips topped with taco seasoned ground beef, queso Blanco, a blend of cheddar cheese. 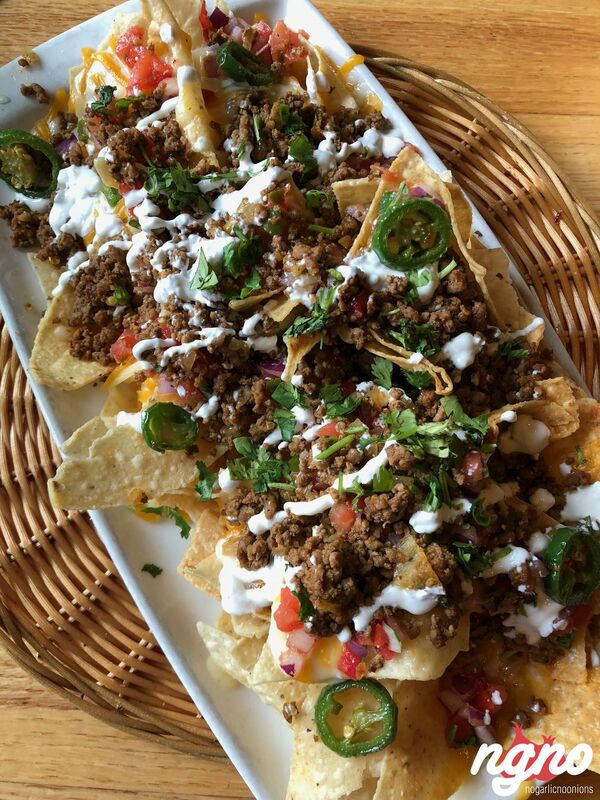 Sour cream, pico de gallo and fried jalapeños. 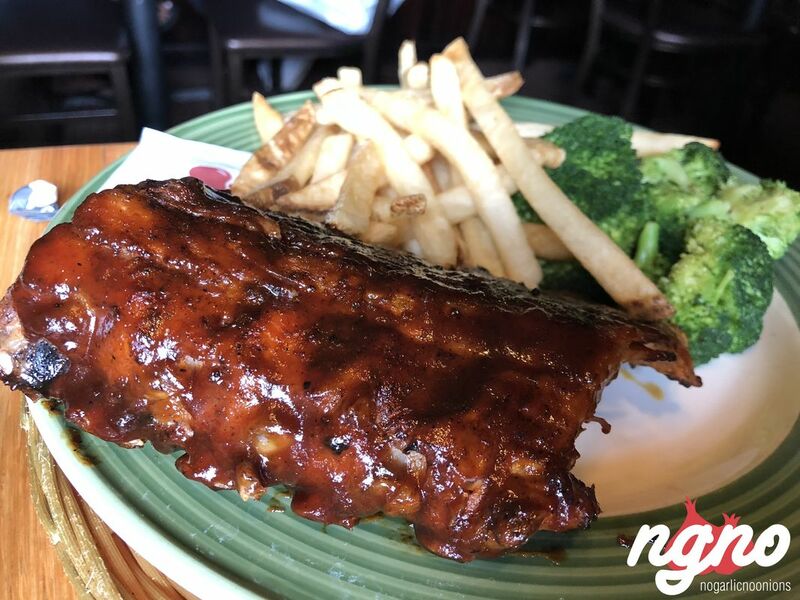 Double glazed baby ribs, slow cooked to fall off the bone. 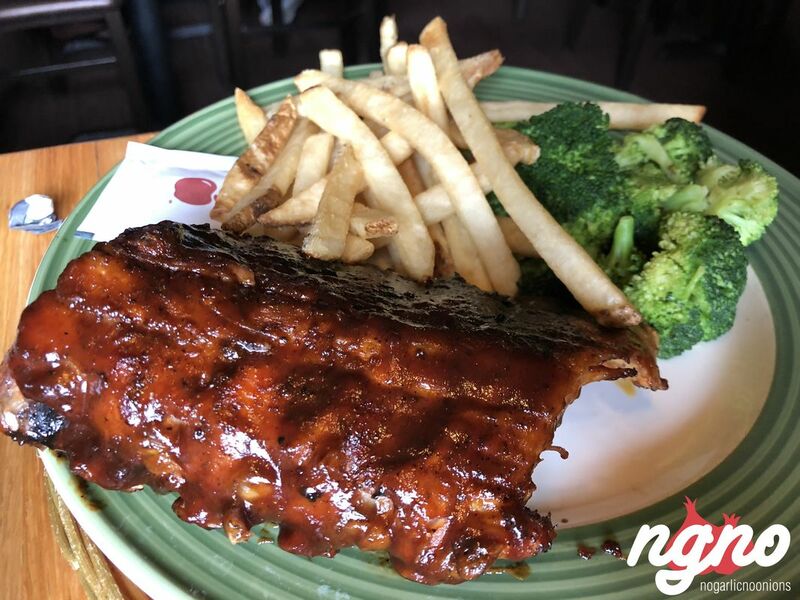 Slathered with honey barbecue sauce. 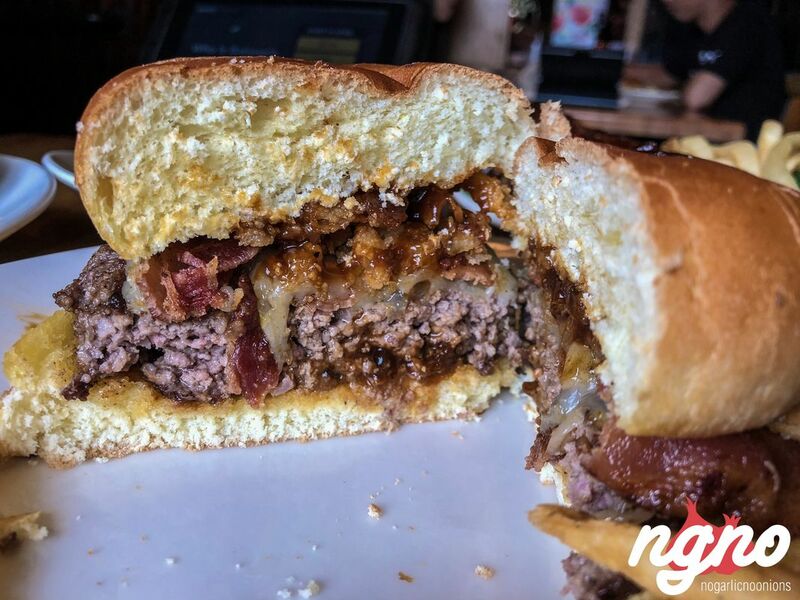 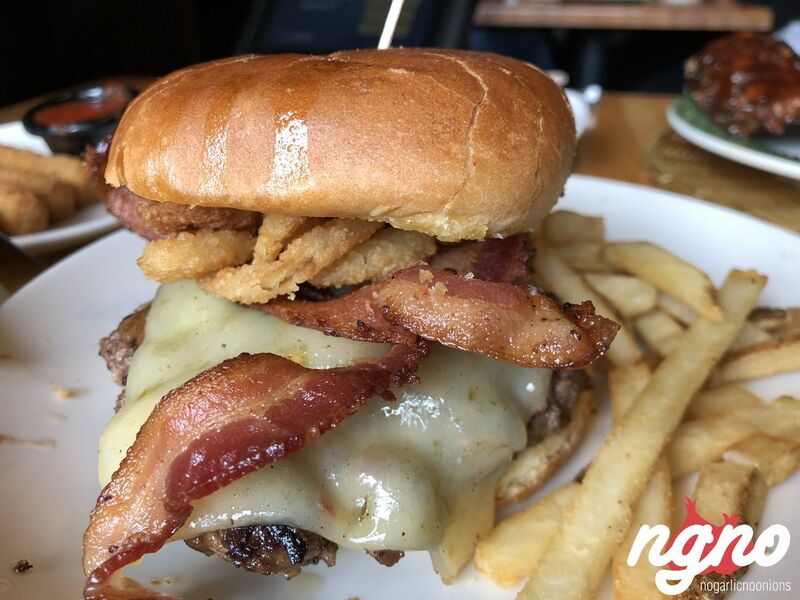 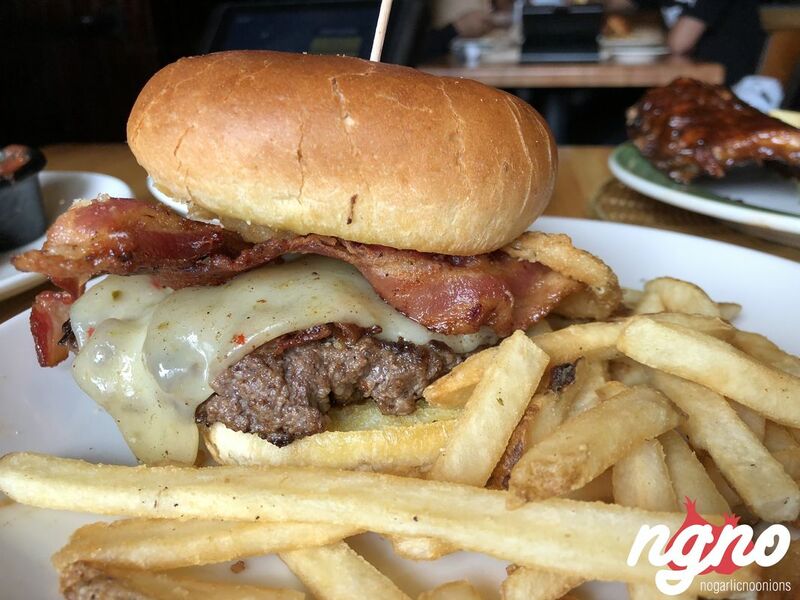 Whiskey bacon burger: caramelized onions and bacon seared into an all-beef patty piled with pepper jack cheese, crispy onions, bacon and fireball whiskey infused steak sauce on a brioche bun. 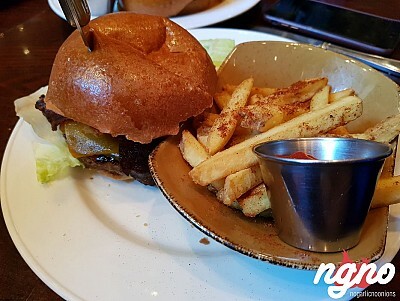 I enjoyed the food: loved the burger brioche bun and juicy patty with the sweet whiskey sauce. 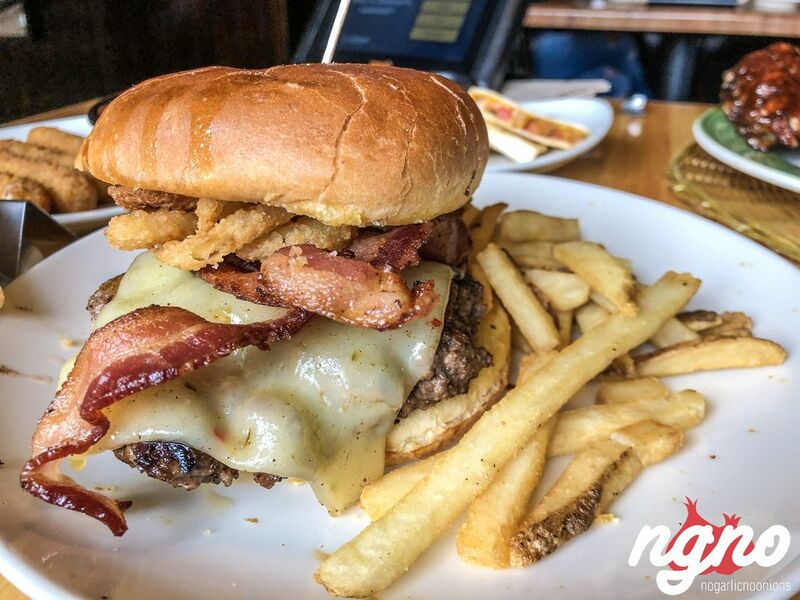 The French fries, unpeeled and fried to perfection with a light sprinkle of salt. 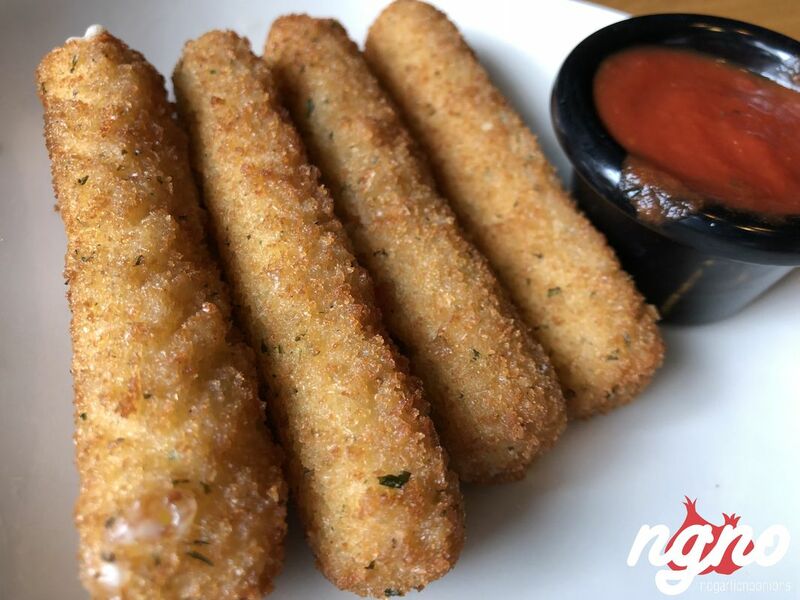 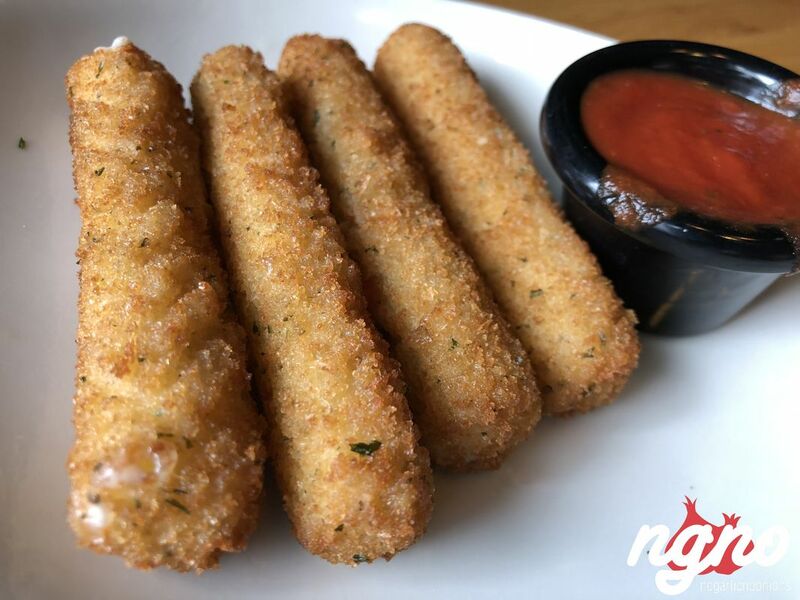 Crispy mozzarella sticks with a molten heart. 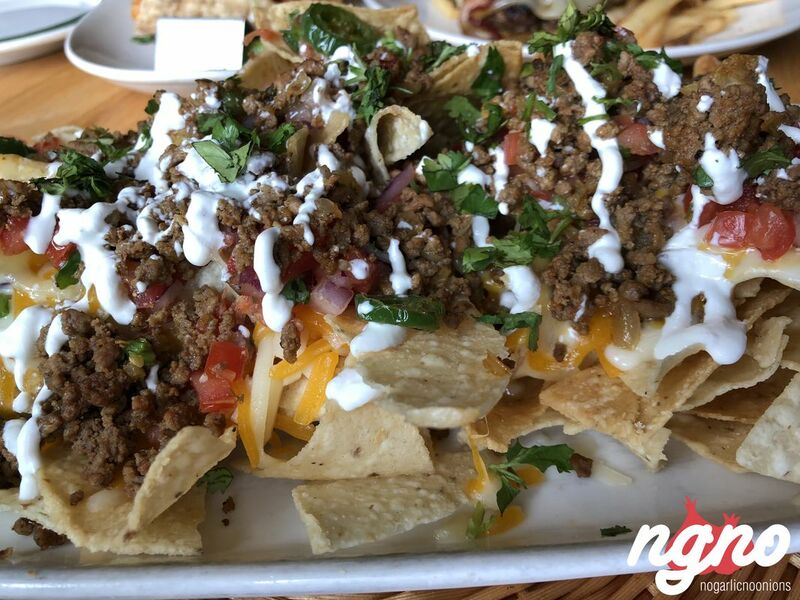 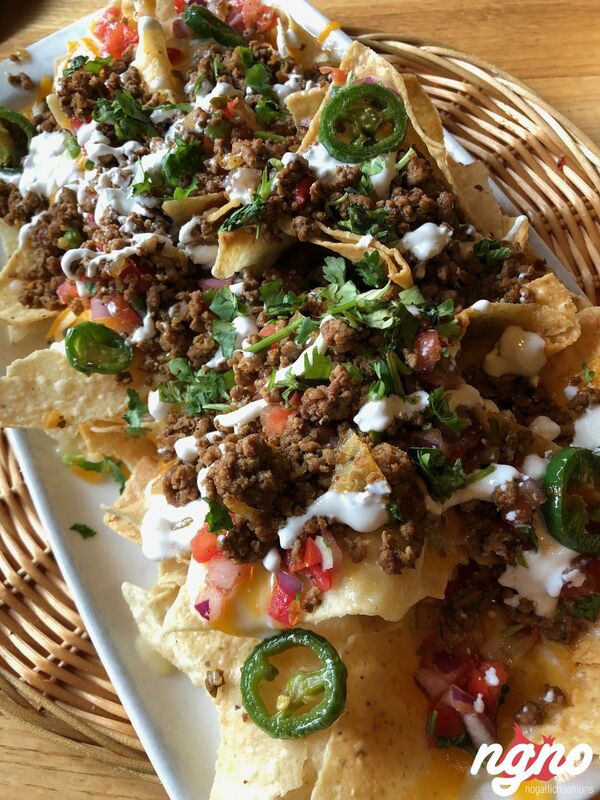 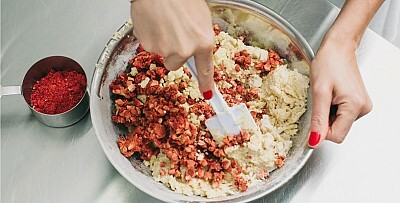 Minced meat is covering a mountain of crunchy nachos. 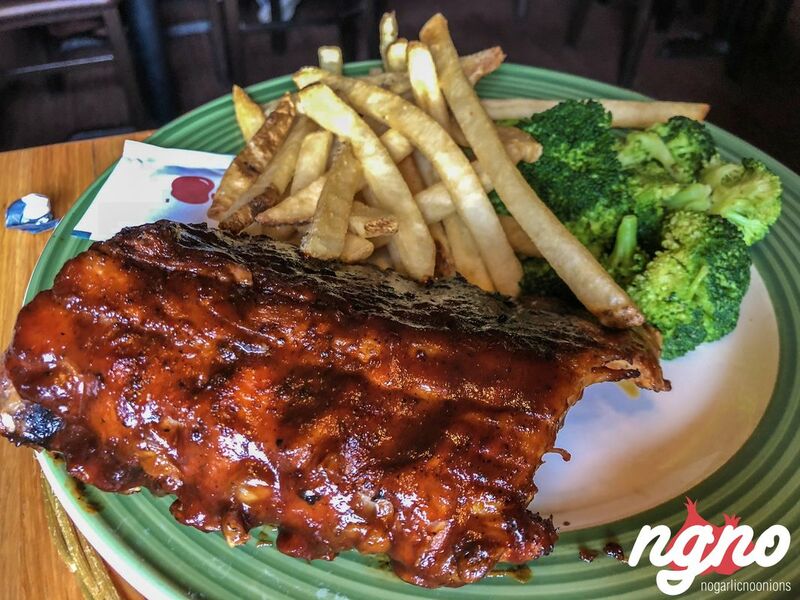 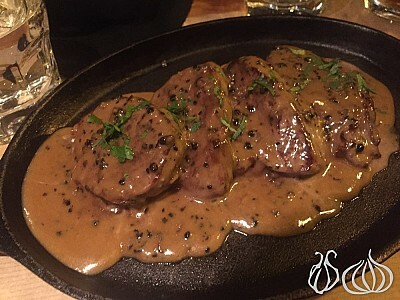 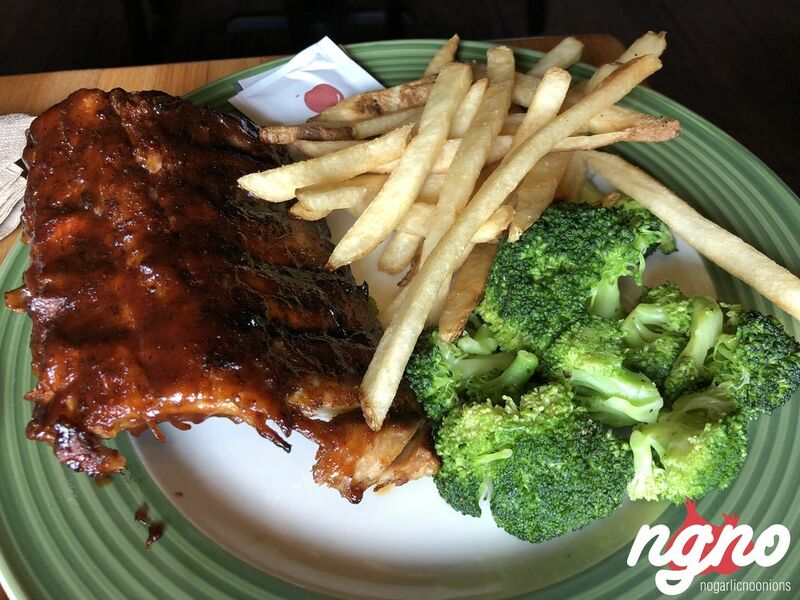 Tender ribs embraced in a sweet sauce. 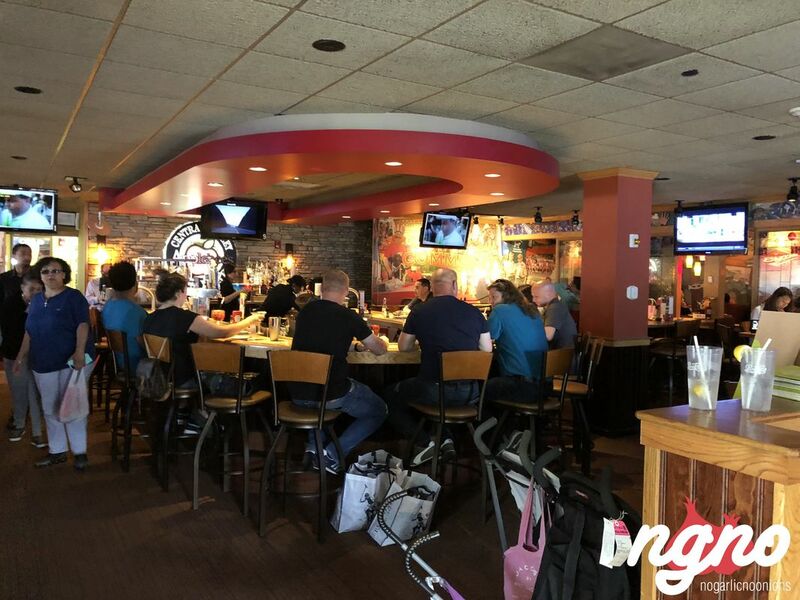 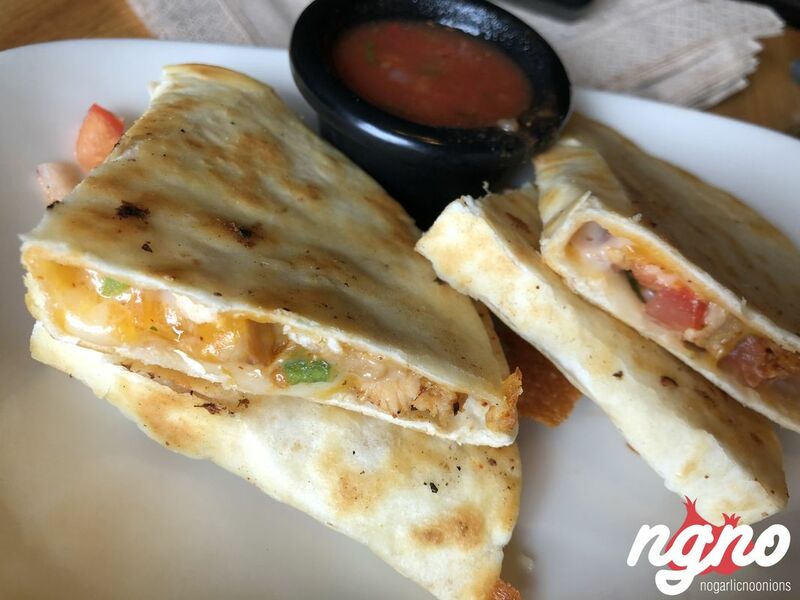 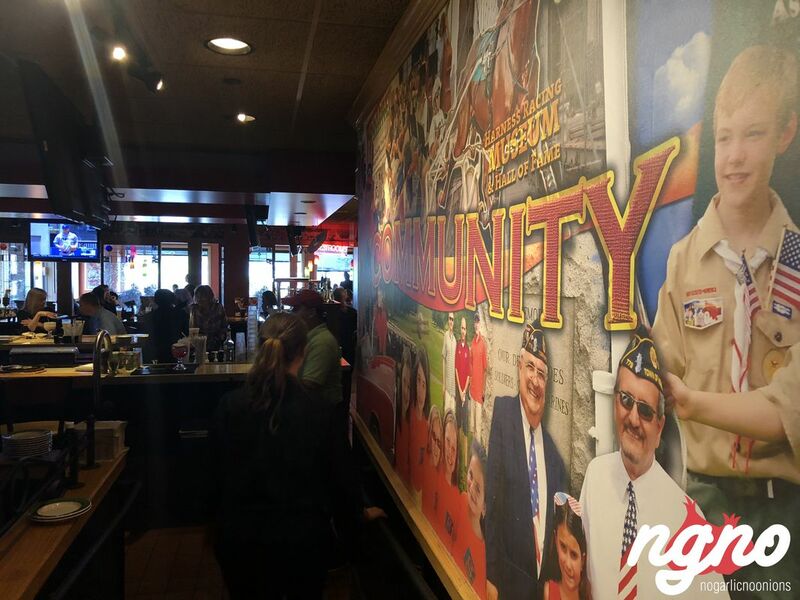 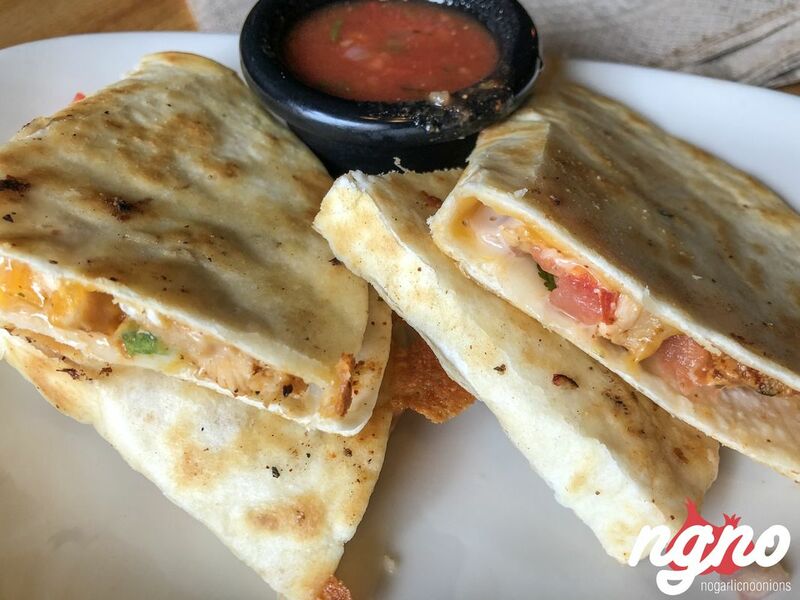 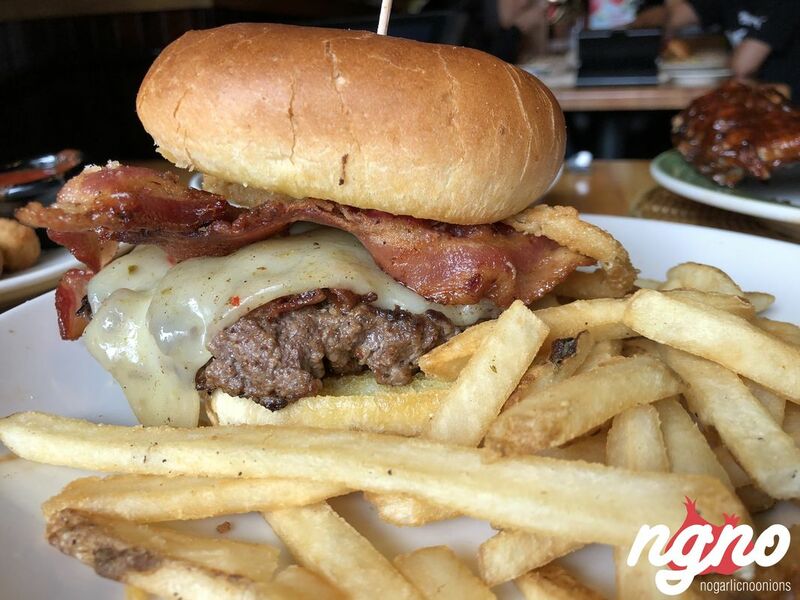 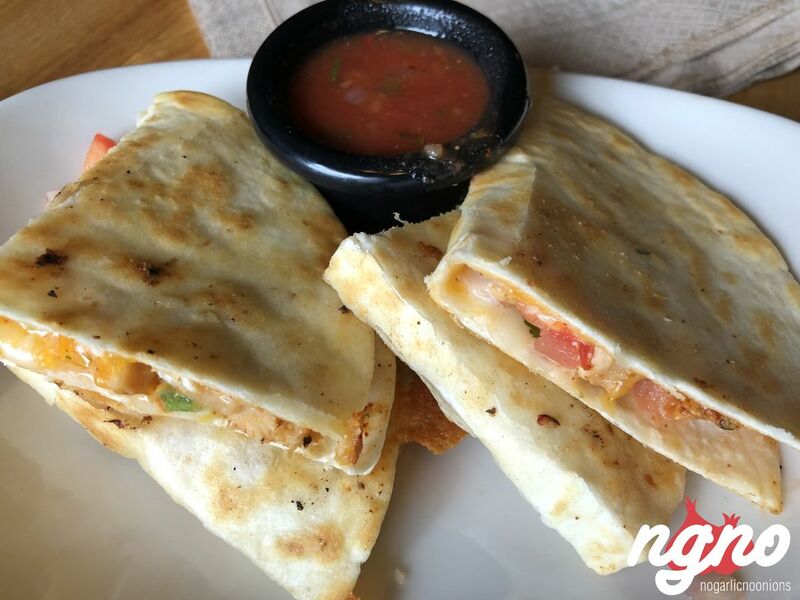 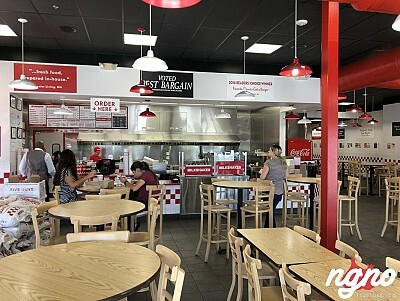 The true American diner experience close to the one of Chili’s, Hard Rock Cafe or Planet Hollywood, Applebee’s food is loaded with flavors and recommended. 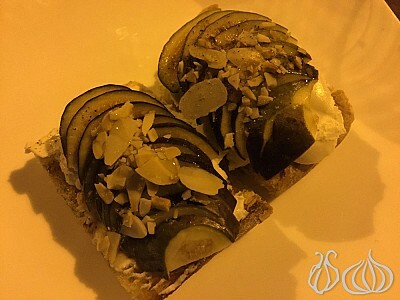 What is the Estée Cookie?